Coyote Ridge Corrections Center opened in 1992 as a minimum security prison. In 2009 it converted into a medium security prison that houses minimum and medium custody offenders. The inmate population is comprised of 10 units; Units B,C,D,E are medium custody and Units F,G,H,I, Camas, and Sage Units are minimum custody. Additionally, Sage unit houses assisted living inmates. The current capacity of Coyote Ridge Corrections Center is 2,468 male inmates. Religious activities are available to all inmates. Coyote Ridge Corrections Center participates in the Correctional Industries program and employs inmates in a pheasant farm, pillow and mattress factory, textile factory, food processing plant, and large scale laundry operation. 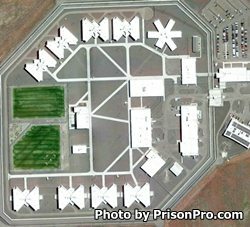 Offenders at Coyote Ridge Corrections Center can work jobs within the institution providing services in grounds keeping, custodial maintenance, and in food serving and preparation. Technical training taught to inmates includes heating ventilation and air conditioning, information technology, automotive repair, building maintenance, and welding. Select offenders can work in supervised positions off of correctional property on crews that provide labor to various public agencies maintaining roads, parks, sewers, and government properties. Monday: 5:30 p.m. – 8:00 p.m.
Friday: 5:30 p.m. – 8:00 p.m.
Saturday: Noon – 7:30 p.m.
Monday: Noon – 7:30 p.m.
Friday: Noon – 7:30 p.m. The facility will not have visitation on event days, you can view the current visiting schedule for Coyote Ridge Corrections Center here.